ERGONOMIC DESIGN -Masentek Earphones are lightweight so they are super comfy. With the ergonomic design and eco-friendly material, they conform to the contour of your ears, and stay comfortably and securely in place, even during the most vigorous exercise. SWEAT PROOF & RELIABLE - Whether you are at the gym or doing outdoor sports like running or biking, Masentek Earphones can withstand your most rigorous activities. Its sweat proof and splash proof features keep you move without compromising the functionality. 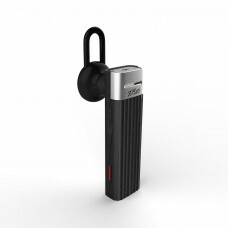 PAIR WITH ANY 2 DEVICES - Masentek Earphones can pair with 2 different Bluetooth devices simultaneously. It will double the options for answering calls & enjoying music from 2 different devices at the same time.